← New news from Newnan! But it was a house to us! 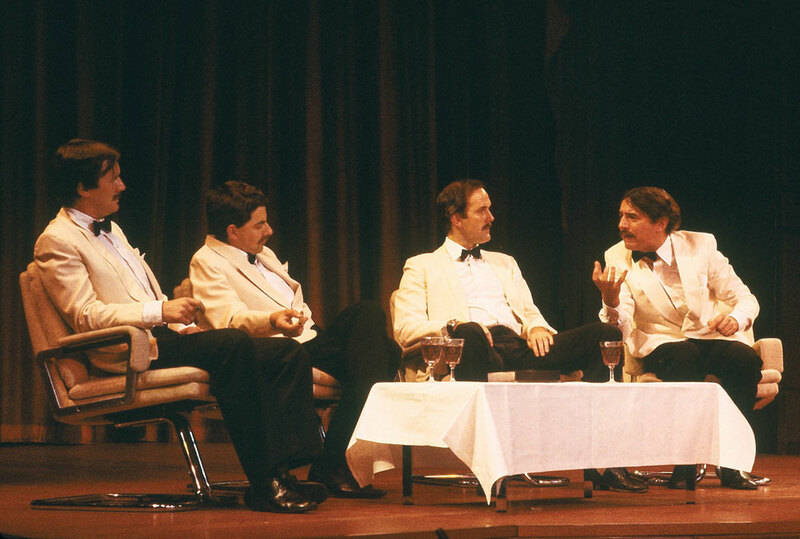 One of my favorite Python skits of all time was the Four Yorkshiremen bit. In it, four of the Pythons try to out do the others as to how tough it was when they were growing up. The first Python starts off by talking about his “tiny old tumbledown house with huge holes in the roof.” The rest of the skit involves each Python trying to top the last one about how horrible he had it growing up. Watch the YouTube clip by clicking on the link above. Much has been written about the importance of homes. Owning your own home is the goal of most Americans. So it only seems natural that if possible, Americans should try to make their American homes as “American” as possible. Ensuring that the components of your home are made by members of our extended American family seems like a good idea to me. I did a post a few months ago about Anders Lewendal, a builder in Bozeman, Montana who is building homes utilizing 100% American made products. Well, it seems I wasn’t the only one who was encouraged by Anders’ work. A builder in Lake Oswego, a swanky suburb of Portland, Oregon, also read about Anders and decided to embrace the All-American home concept. While it is obviously too early to say this is the start of a trend, it is encouraging to see from my perspective. I always look for American when I need something for the house. Paint is an easy one, as are painting prep products and paint tools. So the next time you decide to repaint the bathroom or living room, confidently stride into your nearest Benjamin Moore or Sherwin Williams store and say in a strong assertive voice, “I’ll take two gallons of the petunia pink please!” Imagine the pride you will feel. As long as none of your buddies are nearby. This entry was posted in american made, made in usa, Men's Wear, Painting and tagged Benjamin Moore, Home improvement, House construction, Made in America, Made in the USA, Python, Sherwin Williams. Bookmark the permalink. 1 Response to But it was a house to us!